This report presents the results of e-reward’s survey into current performance pay policies and practices. It’s a subject of abiding interest. The debate on what works, how well it works and why it works – if it works at all – continues, often on the basis of opinion rather than fact. Our survey aims to provide factual information which will inform the debate but, more importantly, will provide practical advice and guidance to organisations. Organisations are constantly looking for ways in which to enhance employee motivation and engagement levels and many regard performance pay as an effective means of achieving these goals. Nevertheless, with a brutal economic downturn upon us, a focus on cost control and subsequent tighter constraints on salary budgets, it seems that events have conspired against reward and HR professionals, making the challenges associated with performance pay even greater. 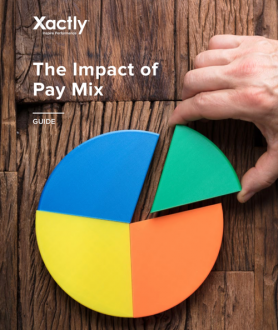 For this reason, it is important to examine how organisations are dealing with the current difficulties and, in particular, how they view the effectiveness of the plethora of different types of performance pay currently in use. lessons learnt from the operation of different types of scheme relating pay to individual performance, competence or contribution. One of the most fascinating outcomes of our research into performance pay is the advice provided by survey participants on how to avoid tripping up on the inevitable obstacles along the way. Perhaps what strikes the reader of these responses most is the vast reservoir of knowledge about the realities of organisational life, backed up by extensive practical experience and an impressive mastery of the subject, which has been brought to bear on the issues surrounding how best to operate performance pay schemes by our survey participants. We reckon the replies offer an unrivalled resource for those interested and involved in the management of performance pay, providing you with a rich source of practical advice, guidance and solutions to the numerous issues that regularly crop up. When putting together a new or revised scheme, you could do a lot worse than apply some of these techniques to give you the edge. Individual performance-related pay: pay related to results – the achievement of objectives, targets or standards by the individual employee. These schemes are sometimes referred to as “merit pay”. Individual contribution-related pay: pay related to both individual performance, as measured by results, and competence. Individual competence-related pay: pay related to the level of competences achieved. Skill-based pay: pay linked to the achievement of defined levels of skill attained. Organisational performance-related: pay linked to the performance of the organisation as a whole or a major part of it, as measured by profits, value added etc. Team-based pay: pay linked to the performance of a smallish permanent team consisting of no more than 40 interdependent workers aiming to achieve a common goal. To download the contents page from the report, click here.